Frequent readers of this space will not be surprised to hear that prescription safety glasses can be used in a variety of scenarios. Depending on the model you choose, you can find lenses that enhance your work in professions ranging from the medical industry to construction. To optimize the function of this piece of equipment, of course, you have to make sure you pick the right glasses. That means not just understanding the various models available to you, but also the features you can add in order to find the best possible fit. To help in that regard, here are 10 types of prescription glasses that will enhance your safety in any scenario. Fog on your glasses is never fun. But when it comes to safety glasses, keeping fog off your lenses can be absolutely crucial. While handling equipment, for example, the last thing you want or need is an impediment of your vision that can endanger you or others. Fortunately, you can get fog free lenses for your glasses that eliminate this problem. Rather than a traditional anti-fog coating, these lenses are treated with a coating that is chemically bonded to both sides of the lens before it is cut. As a result, especially professionals working with steam and in other fog-producing environments will appreciate this feature. Similar to fog, dust can impede your vision and even get into your eyes. Depending on the situation in which you wear your glasses, that impediment becomes a danger. From working at a construction site to riding motorcycles, you need eyewear that effectively shields your eyes and vision from this type of dust. A number of frames and lenses exist to specifically prevent this dust from bothering you. These safety glasses work especially well in dusty conditions, protecting both your eyes and your vision as a whole. And of course, you can insert your prescription to optimize your vision anywhere from construction sites to motorcycles. Your regular pair of prescription safety glasses simply won’t work if you regularly operate lasers. From the medical industry and industrial applications to the military and even educational situations, operating any type of laser has to come with the highest possible degree of precaution. Fortunately, you can find the right glasses for your needs. Above all, laser glasses need to accomplish two things: the lens has to protect your eye from potentially dangerous light, while your frame has to ensure that it covers even your peripheral vision. It’s the only way to make sure that you reliably block dangerous wave lengths and high optical densities. Similar to lasers, using a welding or other type of torch absolutely requires the right type of equipment. Torch and Brazing glasses protect your eyes not just from the potential sparks off the metal you are working on, but also the high-intensity light that your work will inevitably produce. Some applications will undoubtedly require a full face masks. But for others, safety glasses and goggles are enough. To be protective and effective, they have to weigh little enough to not become a hindrance, while ensuring security on your face even as you move around and complete your work. What if, similar to the metal work above, you are regularly working on cutting and working with glass? In that case, the right protection for your eyes is just as crucial. If you are not careful, a glass splinter in your eye can lead to an emergency room visit at best, and blindness at worst. Of course, the right safety eyewear prevents this type of nightmare scenario. If you find the right prescription glasses, you can feel safe knowing that your eyes will be protected in more than one way as you complete your projects. Metal frames, plastic frames, and even wraparound models are all available for those looking to protect their eyes in this line of work. According to the Centers for Disease Control and Prevention, between 5 and 10 arc flash explosions occur in United States electrical equipment every single day. Anyone who works with this type of electrical equipment needs to be prepared for a potential incident in which high voltage leads to an electrical explosion or discharge. How can you prepare for this scenario? The right electrical safety glasses are a great start. They have to sight tightly on your face, ensuring security even as you move around in tight places. Meanwhile, wraparound designs ensure wider protection of your eye area to increase your safety when working with electrical equipment. Are you working in the dark or less-than-ideal lighting conditions on a regular basis? In that case, consider finding a pear of glasses that includes incorporated light capabilities. Prescription glasses with an LED light, especially, can help to keep your eyes protected while also increasing your safety through a more well-lit work environment. The potential applications for this type of glass frame range wildly. Professionals engaged with electrical work, plumbing, auto repair, power outages, and a number of other areas can all benefit from a frame that takes safety to the next level. The potential benefits of seeing more without sacrificing your vision are immense. As any diver knows, scuba masks are safety glasses in their own right. They help to protect eyes and face both from potential items in the water, and the pressure of the water itself. Of course, they mean little if they don’t account for your prescription. That’s what makes prescription scuba masks so valuable for anyone who scuba dives either for a living or for fun. They ensure clear vision, even under water where it can easily be distorted. As a result, they protect your eyes and your orientation the entire time you are engaging in the activity. It almost goes without saying that when shooting a gun, you need to have perfect vision. Otherwise, aiming and finding your target can be significantly more difficult than you want it to be. Whether you hunt as a hobby or engage in law enforcement, you need prescription glasses. But what if your position also requires you to protect your eyes? In that case, driving and shooting glasses may be your perfect solution. They allow you to both enhance your vision and protect your eyes, keeping you and those around you safe at all times. Finally, safety brand Wiley X offers a specific line of prescription glasses called Climate Control. These glasses are designed to seal out the wind, sand, dirt and debris. In return, and as their name suggests, they maximize your comfort level as you’re keeping your eyes safe and your vision clear at all times. 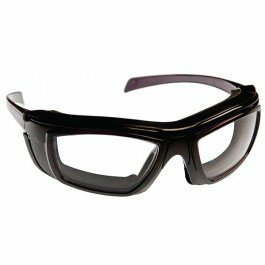 You can get Climate Control glasses with either clear or tinted lenses, depending on the situation in which you use them most. Rather than a niche specialization like the above examples, they are perfect for a wide range of scenarios in which eye safety is required. Does your job or hobby require you to protect your eyes? If so, you need to find the exact right fit for your niche. Fortunately, a wide range of prescription safety glasses exist specifically to find the right fit for you. To learn more about our glasses, and how we can help you stay safe, contact us.